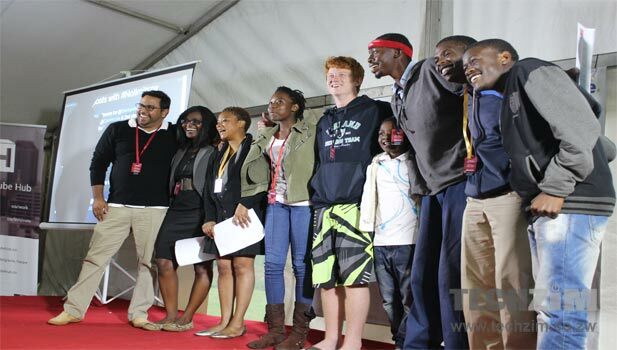 After a 54 hour marathon of tech entrepreneurship and idea development the Startup Weekend Zimbabwe ended yesterday with the first prize going to the Kwese Music team with their device and application called K’tamba. As winners they walked away with prizes valued at $78,000. K’tamba is an app and device that uses everyday objects that are able to conduct electrical current such as fruit as musical instruments. These objects are attached to the device which is connected to a computer that hosts the application. Through the app a user can select an instrument whose sound is simulated when the objects are handled by direct human contact. First runner up was the MoneyGame team with an online sports betting platform that allows registered punters to place their bets thereby eliminating the hassles of travelling to the sports betting centres as well as queuing just to place a bet. Users of the platform who win are given a reference number that can be used when redeeming their winnings at specific outlets and they can also enter their winnings to place more bets on the platform. In third place was Combi Code with an application that allows commuters to get information on a kombi such as its registration, safety record and rating from a QR code on the kombi. Users of the app can also alert police if the driver is disregarding road safety. The judges, mentors and organisers of the event applauded the efforts of all the participants and special mention was made for some of the participants still in high school. 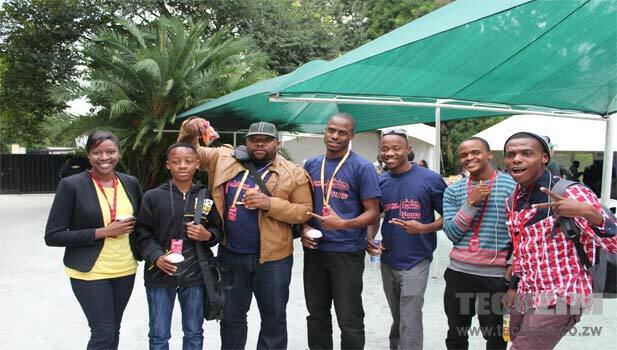 These included 15 year old developer Tadiwanashe Maziwisa from the MoneyGame team who managed to make a major contribution to the team. Ungano – The team created an online platform to engage and manage freelance human resources for businesses that rely on the sub contracting of certain services. Schools Connect – The team designed a central point for students for all their academic and vocational needs. 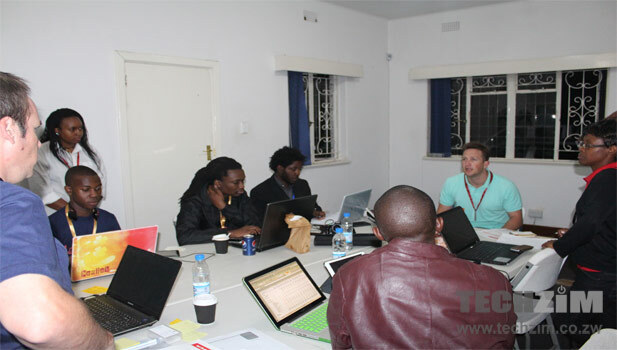 The platform works as an online community that ensures that anyone enrolled in a Zimbabwean learning institution can get all relevant information on one site. Agro Market – This team created a web and SMS platform for providing farmers with accurate crop pricing information as well as integrated agro-focused data relating to farming input. It helps anticipate future demands so as to mitigate the risk of investment in a low return crop thereby bordering on a crop futures model. Shecodes – The predominantly female team designed a web based app for centralised patient records giving any authorised doctor access and as such an opportunity to treat the patient anywhere. Validaid – The product designed by this team is meant to verify medical aid details for patients using the services of medical aid societies that take on the product. This speeds up the health delivery process at all medical centres. Pitch2Pitch – This team created an online validation platform where any user can get mentorship and validation of entrepreneurial ideas from anywhere in the world. This online mentorship model is targeted at startups looking for ways to expand their ideas into scalable and sustainable solutions. My question is…. How will the winning team ( Music objecs ) make an money ? Its just an idea, a good one if I might add, truely impressive, but its a hobby kind of idea, not something worth that much to be invested in, considering that we are from ZImbabwe. Its already being done, will they sell the app and device to …… ??? OH NOES ! no-one I guesse, unless if Google buys it. 2. MoneyGame, a good idea indeed, they need to work on a USSD service, no apps, people hate apps…. I hope they know what they are doing. Its a great idea which needs alot of polishing and advertising. This should have taken first place 🙂 Its a great business model. Well done to the 15year old !!! I started that young and am proud of what he is doing !! Lost ! , we are in Zim here…. think local market…. man! lolest, this one made me laugh…. Picture people carrying their Android devices in line for free maize in some rural ZImbabwe all checking their apps to see who’s number 57 ! Its a great idea if you target places like airports, doctors appointment…. then again… people hate alot of unnecessary apps. In a Utopian Zimbabwe….. YET ANOTHER APP !!!!!!!!!!!!!!!!!!!! I would hack that and change my high school teacher’s medication to some lethal dosage for all those sad days of corporal punishment. Its a great idea if you can sell/give it to government. These guys all did great. THey still have alot to do though. Proud of what this event gave an opportunity to Zimbos!!! The system checks if your Medical Aid is Valid. Am Sorry if you Ex has H.I.V. It seems its even more useless than I had previously thought. And if it verifies it means that is has access to the medical records. BUt who will buy such, dear Carl ?? Its too big.. its like those idiots from Bulawayo who are making an antivirus called “Mthwakazi Defender” …. lolest. Anyways dear Carl, my opinion does not matter… what matters is what you do with it. If you made this ValidAid… keep going, build it into a great secure system and sell it, my comment was my opinoin. Medical Aid status – as in Have you paid your Medical aid and or is it Valid – there are no “personal” records being accessed. If you are really worried about you current girlfriends status – there is a startup that opened up some years back called New Start they can help with that sort of thing. And your comment is your Own – but this is a public forum. My girlfriend is dead, she was struck by lightning on her way to work this morning and my ex-girlfriend is detained at Chikurubi maximum prison for mass genocide and ValidAid is the most useful tool on the planet since Google sold its search engine to Yahoo and Microsoft decided to buy Victoria’s Secret and Apple invested all their attention on airtime vending for Econet Wireless. If ValidAid is what you say it is, then I think you shouldn’t have pitched at Startup weekend, and would be better off if you worked on it from home and approached the industry directly. yaah that New Start app is kinda scary i guess, so go to Validaid. No awkward stares, silence and tv watching. Agro Market and Agro Biz are already active and being implemented in Kenya – and used by small/medium scale farmers. So why wouldn’t they work in Zim? I totally agree on money game though – WOULD HAVE BEEN MY PICK FOR NUMBER ONE. But Kwese Music is still great. However Money Game is something that can definitely have MASSIVE appeal. That one could be very lucrative. I did some further research and you are right. It could very well work in Zimbabwe, but we need to get smartphones to the majority of the population before then. You probably have a point but would rather wish these guys good luck. At worst case they get to master a technology and if the first idea is not working then they can pivot to the next idea. Second time they will have set up their servers, learnt a bit about marketing and most importantly they will know what NOT to do. awesome event, love the vibe and the amazing teams and their ideas. Zimbabwe’s potential is certainly coming of age. Moneygame is good. Personally i think the moneygame guys should have taken first place. and i agree with econethater, they should focus in ussd and forget about android and iOs for now. Am I the only one who doesnt get what K’tamba actually does. you connect the device to the computer and to a elctrical conducting object and play musical sounds??? K’Tamba launched a gadget, which they are going to make, the Kwese. It’s a portable device allowing users to play music from it through any medium that is conductive, even bananas, making music more accessible and improving the motor skills of users at the same time. The benefits of such a gadget are allowing music to be learnt by anyone for $30, the cost of the gadget ,which they are actually working on producing. The one connected to the computer on the pitch day ws the prototype. For Econet Hater, that is what this gadget is all about. It also allows for rehabilitation for people with disabilities as it responds to any type of touch,and uses real musical notes. For people who cannot afford a piano forte, this gadget allows one to learn music in an affordable,portable way. You really changed my opnion on Ktamba. You have enlightened me. Morgan: Ey bru did you see the Ktamba ? Tendai: What you guys talking about ? Robert: The Ktamba do you know it ? Tendai: Yeah man its totally great, I mean in a starving country with a dying economy, over 80% unemployment, low GDP and where $78,000 could have bought computers for over a thousand schools whose students have never seen a CRT monitor. I think its a great investment. Morgan: Yeah and also the fact that they now have $78,000 worth of funding, who knows what they will do. They will employ 1000 workers, in just 3 months of startup. Our economy will benefit from the Ktmaba. Robert: Wow…. Its bigger than I had thought. Zimbabwe is really developing man, I mean if I picked up $78,000 dollars I would probably think of donating half of it to a charity organisation, or invest in a startup which is likely to generate income in the near future like those guys from Money game, then we would donate to charities. Morgan: Its the best idea ever. Other countries invest such amounts of money into university research programmes, but no not in Zimbabwe…. we give $78,000 to people who make music from Banana’s for the sake of developing the disabled people’s motor skills whilst the disabled are dying and unemployed. Robert: I may proud to be Zimbabwean, we should invest more time in these events, maybe next time we can give away $78,000 to another toy making company. “maybe we can give away $78000…” These guys got no actual money – lawyers, consulting firms and other companies agreed to give them advice that, had they paid for it, would have cost that much. That’s a big difference! Everyone else reading this, don’t feed the troll (like I’m doing) – anyone wanting to shoot down all these great ideas should come up with better ones rather than hiding behind a screen. This post was one of a kind in itself as it offers every bit of information regarding sports betting and the criteria to follow in order to bet in the online environment for the first time. This information is going to be useful for all the new and old sports bettors. I would also like to present my own online sports betting website to everyone here who wishes to best in sites offering best bet to win ratios. The players can also learn about different sports events and news about sports and its players at my website for free.